Should the former Malden Hospital site be preserved as open space? “Opportunity is missed by most people because it is dressed in overalls and looks like work,” is a familiar adage. We have an opportunity in Malden to develop some revenue-generating open space. It will be work, but if successful, it will be worth the investment. The Malden Hospital site, owned my Hallmark Health, has been closed for more than 10 years. Malden is considering a proposal for a high-density housing development, with 375 expensive rental/condo units and room for about 500 vehicles. This would bring much needed revenue to Malden, but at what cost? According to BioMap2, the study of cities and towns by the Executive Office of Energy and Environmental Affairs, open space in Malden is 4.8 percent of the total 5.1 square miles, second only to Somerville (4.5 percent) with the least amount in neighboring communities. But how can open space be financially beneficial and bring much-needed revenue to the city? A study performed by the University of Pennsylvania’s Wharton School of Business on an area of Philadelphia found that “vacant land improvements result in surrounding housing values increasing by as much as 30 percent,” resulting in more property taxes. Researchers at Penn’s Perelman School of Medicine found that “Improving the places where people live, work and play holds great promise for changing health and safety,” a core mission of the Malden Hospital. An alternative proposal has been developed by Malden and Medford neighbors (www.fellsmereheights.org), and includes a single-structure housing development sized within the current zoning limits, along with creating much-needed revenue-generating recreation and open space. 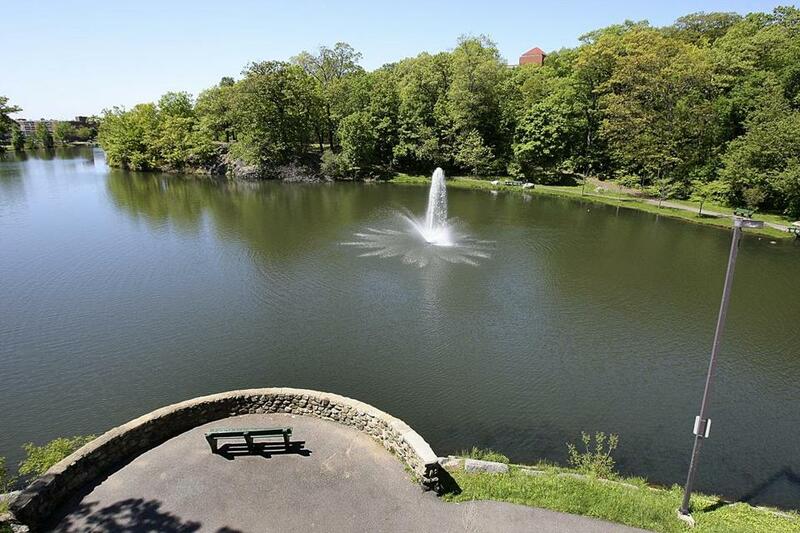 Next to the property is Fellsmere Pond, a 25-acre park designed by noted architect Frederick Law Olmsted, who designed the Emerald Necklace in Boston and Central Park in New York. To develop complementary recreational space would increase its value and draw many visitors — and their spending dollars — to the city. Well-designed open spaces lead to an increase in public health benefits, an increase in retail values, lower crime rates, better results for the environment, and an increase in community pride. With an already densely populated area with little open space in Malden, the city should carefully consider options for incorporating revenue-generating open space in what may be the last opportunity to do so in the city. The Malden Hospital site continues to be of most importance to me. My three children were born there. My husband's cousin was a department head there and went on to become the director of communicable diseases for the Commonwealth. I was a past president of a nonprofit women's group called the Junior Aid Association that raised thousands and thousands of dollars for that facility. I am appalled that the hospital has sat dormant for 15 years. Whether it is for a lack of trying, it being an albatross, or the failure of our economy, it is disheartening. I envision another hospital in that space. I envision a community center for all to use, with a top floor for revenue-generating events and a botanical garden on its grounds. I envision a Google or another high-tech business. However, if the numbers work for a developer and it is a right fit for our community, then so be it. Clearly, however, 400 units as proposed is too vast. It is truly a balancing act with green space advocates and tax benefits to our city. Malden is in the speed lane with growth. It is a very exciting time and as a city councilor, I am proud to be part of it. We need to be mindful of our journey for Malden Hospital. It sits on a large 14-plus-acre parcel surrounded by beautiful trees and is flanked with the historical Fellsmere Pond. Our residents are very territorial with the property, and rightfully so. Everyone can share a story about it, whether being born there, working there, or simply admiring the landscape. Globe correspondent Brenda Buote solicited opinions for this exchange. She can be reached at brenda.buote@gmail.com.